Track your progress towards those goals at least once a month! Measure what is working best and adjust your marketing plan accordingly! Unfortunately, Psychology tells us that’s not good enough. Here’s what is wrong with this picture: There are no intermediate goals that help guide data-driven decisions as marketers are doing their work! 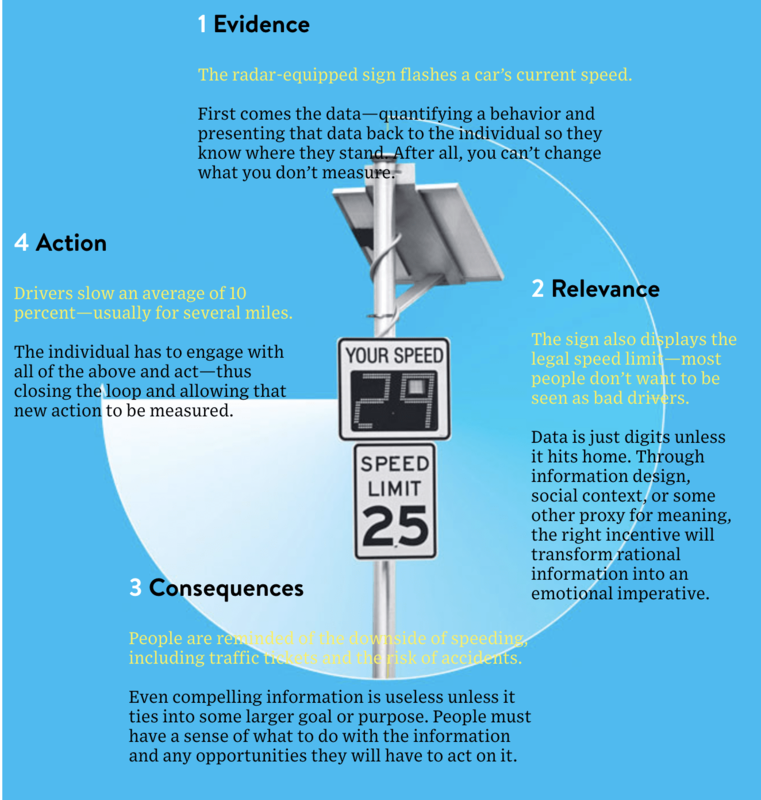 In other words, your team may be tracking data, but not changing the tactics based on data. With the strategy above, goals do not affect daily or even weekly decision-making. It is intimidating to report a missed goal to a boss or client (most common reason). Setting monthly goals could create a lot of awkward conversations. Marketers don’t want to be impulsive and change their strategy. It took awhile to convince their boss or client that they have the right strategy. They don’t want to have to do that every month. The dogged belief that it will eventually get better if we just keep doing more work. 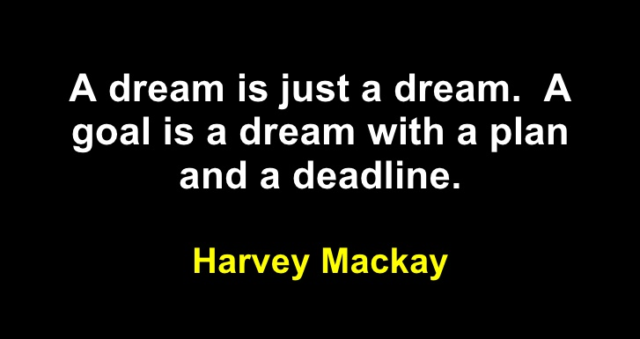 It’s too hard and time-consuming to set, track and revise goals. Unfortunately, by not setting monthly goals, marketing leaders are actually handicapping their teams. Psychological research shows that concrete monthly goals give marketers necessary feedback for making better decisions. Specific goals empower marketers to stay on track and avoid high-pressure, no-win situations later in the year. As long as you are doing better than last year, you might think that you are having a great year. But here is the counterintuitive reality- setting a vague, non-numerical goal actually creates the risk that your team will fail to achieve that goal! If you want to improve on last year’s numbers, even by a little bit, setting a concrete goal is your best move. Heidi Grant Halvorson is a social psychologist that studies goals at Harvard. She has investigated the connection between goal-setting and achievement, and found that vague goals overwhelm your brain and encourage you to focus on other things. Your brain will become overwhelmed with all these possibilities. A lack of a concrete goals will cause second-guessing. It needs direction so that it can focus its energy. Without a clear focus, you will default to the same tactics you were previously using or worse, you’ll get little done because you’re bouncing back and forth between different activities. Sounds familiar, right? Like everyone else, your brain wants clarity so that it can operate on autopilot. See how much more achievable that seems? 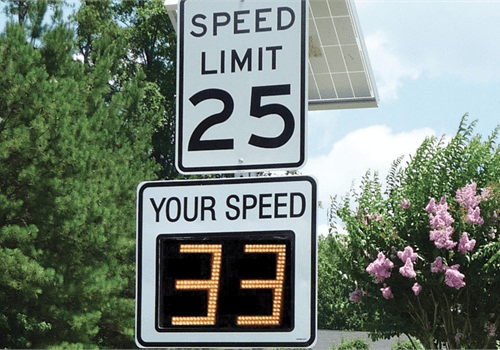 To discover a better solution, we need to look at the success of radar-enabled speed limit signs. This concept was first attempted in Garden Grove, California in 2003. Drivers in the school zone would speed past the traditional speed limit sign. Police officers would diligently hand out tickets, and occasionally, cars would even get into accidents with pedestrians and bicyclists. Neither of these risks seemed to stop speeding drivers, though. Evidence that shows why the information is relative to you (your speed). The risk of an accident would not cause drivers to act, but a feedback loop did. The loop works because your brain is constantly trying to achieve homeostasis, or equilibrium. PS. If you want to put the equivalent of a dynamic speed-limit sign in your office, so that your team has a near real-time feedback loop, put a TV on your wall that puts your stats front and center (like Nextiny Marketing shows in the photo below) or if you run a remote team, enable your team members to view your key stats and goals on their mobile. As I mentioned above, too many marketers set six month or annual goals. Some set goals that are too short-term too. It’s important to get the timeframe just right. For marketing, monthly goals make a lot of sense. Your brain is not going to be able to focus on one big marketing goal that takes months to achieve. The consequences are too far away, and the actions are unclear. And if the goal is too large in a small time frame, your brain will tune it out because it knows the goal is unachievable. 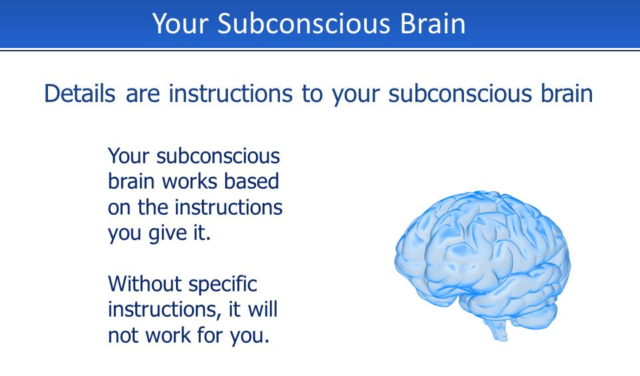 But if the combination of these 4 factors is just right, your brain will search for ways to resolve the difference and return to homeostasis. The evidence is your current metrics. The relevance is the monthly goal. In layman marketing terms, that means you’ll work hard and smart to hit the monthly goal, if your progress to goals is presented right in front of you. Back to our example… if your goal is to hit 20% more traffic this month compared to last year, the story becomes clear to your brain. You will know the exact number of sessions you need this month, and you can do the math to figure out the work you need to do. We will launch two new marketing campaigns per quarter instead of one. We will aim to get 100,000 readers to the blog, up from 35k. Chances are, unless your business just prints cash, these are unrealistic plans. Plus, you’re short-changing your team’s ability to do even better with incrementally more resources. You’re encouraging your team to focus their energy on activity completion rather than the results of the activities. For example, if they are tasked with writing 3 blog posts per week, they may not have the time to write and promote a blog post that could get 10 times the amount of traffic of your average post. And they might double your ad spend and not get double the results. That would be disastrous! You may miss opportunities that could provide a step-change in results with little effort. For example, one of the smartest things we did in the last few months is ask another site to link to us in a post they had written a year ago. It took about 20 minutes of work and drove nearly 1,000 signups for us. Instead, set shorter term goals and set up frequent feedback loops. In other words, check your progress daily. If you cannot quickly evaluate your own performance, you will only get one opportunity per month to change tactics– at the end of the month, when you are reporting on your numbers. Even that’s not good enough. Below are examples of goals we’ve set. Some of the goals, like “double MRR” are set by our boss, while some are derivative or sub-goals individuals have set for ourselves to help us get to the bigger goals. By setting monthly goals, our team has became masters at finding ways to exceed [most of] our targets. As you head into 2018, most companies are building their annual plan. While this is an important process to go through once per year, make sure you’re setting and monitoring goals much more frequently in the new year. Otherwise, 2019 will roll around and you will not have made as much progress as you could have or as much as was expected of you. Need some help? If you need a way to track marketing data and specific monthly goals in near real-time, you should check out our new SMART Goals tool. For free, you can track data from up to 3 connectors like HubSpot, Salesforce and Google Analytics!